Absolutely Amazed! I was getting sick of shelling pistachios, but figured I was saving money (I saw the same thing, at Sam’s in fact). 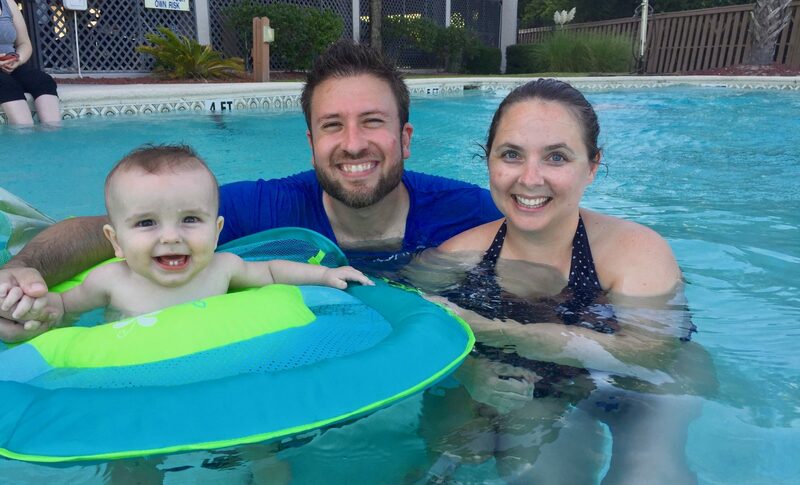 I decided to see if anyone on the internet had looked into this and I was delighted to find this blog! I prefer the pistachios in the shell because it takes longer to eat. You cannot just pop a handful of them in your mouth. If I ever acquire the self-control to eat the seeds slowly and in small amounts, then I will graduate to them. I think you have the prices mixed up. When I look at my sam’s club information, the price now for unshelled is $15.98 and that’s for a 2.5 pound bag and the shelled ones are $17.14 for 1.5 pounds. Wonderful must have wised up. Maybe they are still cheaper elsewhere, but on Amazon, the cost of the un-shelled 2 lb. is $17.31, while the shelled 1.5 lb. is $28.49! Wish I could find the latter at $14.98. What a difference a year makes. I performed the same test and came up with similar results. However, it seems to me that in-shell pistachios taste fresher than the shelled ones. Maybe the shells absorb some of the moisture so the seeds don’t. Hard to say. In any event, I buy them in the shell even though it costs a little (23%) more. Baklava. The Pistachios give the Baklava a light greenish highlight. had to be clarified to be brushed on the Filo Leaves as they were stacked. In those times teams of woman visited to get the job done. measured rows and cross rows and then angle cut for each piece. I Get cramps. I can imagine what my parents went through. appropriate or for me arthritis, now older is no joy. Thanks for this test. I was just at Costco – I don’t remember the prices – but I wondered which would be the better deal. In trying to find this information, I saw that pistachios in the shell stay fresher, longer, which is also a consideration. I am doing the same experiment myself, although I am only saving the shells & husks. I figure I can just check unit price per vs unit price. i will then deduct the weight of the shells off the weight on the bag and see what the cost is per bag by the lb vs price per lb of the other bag. Maybe I am wrong, guess I will find that out at the end. If anyone sees a fatal flaw in my thinking, please let me know at redsoxfaninfl@gmail.com…thanks. I don’t mind doing the shelling as Scooter said in 2014, self control plays into it. Me it is the 2nd most major point for me, the first being salt, to me the shelled pistachios are very salty and they seem to get soft and chewy not a good thing..yuk. So when I know I will come back & repost on the subject, so keep looking out for me or email me direct…thanks..p.s. give me a good month as I am trying to loose weight and do not want to over due it. Though difficult to explain (or remember the explanation if there is one) why shell-on tastes fresh, shell-off is chewier and stale. Even though the shells are open, perhaps the husks etc preserve them somehow. It’s surprising that this aspect is not more widely stated and noticed..it renders the shelled/unshelled comparison almost moot. For cooking etc, maybe the per-shelled, for snacking I will never again them. As strange as it sounds, we could even theorize that supply and demand, perhaps owing the fresher-tasting shells-on, may sometimes drive pre-shelled prices down. If there was a way to preserve freshness of the pre-shelled, idk, like vacuum-pack them or something in portion sized bags etc, I would go for that. 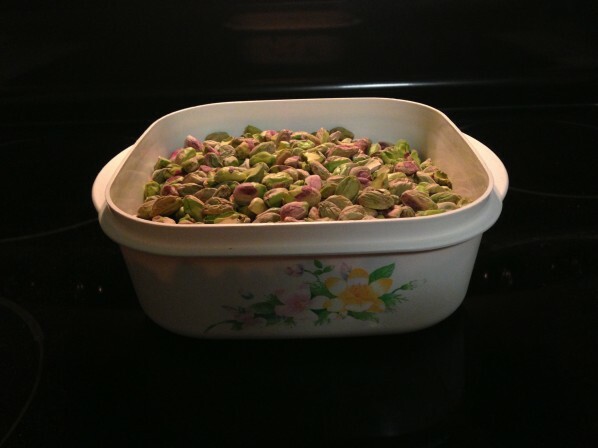 There is an immediate taste difference between pistachios that were sold in their shells and ones that come deshelled. Pistachios with the shell taste much, much better. That’s all there is to it. I’ve never once seen anyone argue to the contrary, and the only thing people mention when speaking in favor of deshelled pistachios is that they’re easier to eat. Well maybe the pre-shelled pistachios are droppings from processing the pistachios in the shell. So there is no labor just a method to sell what falls out. Notice you always have some shells in the bag with no pistachio. Then there are the ones which didn’t crack and leaves you to hammer them or throw them. I always like eating the loose ones in the bag but I also thought the other day about how many shelled ones I would eat if I didn’t have to spend the time taking the shell off. I have only had one bag of shelled and they tasted fine to me. Place on baking sheet put in 200°f oven for up to 30 minutes. While still warm the oils in them will cause them to be softer & chewier, when cooled they will be crunchier and fresh. I, like the others, prefer those in the shell because it takes more time to eat. Also, I don’t buy Wonderful, but buy Trader Joe (who it is said buys from Wonderful); however, I buy one bag of roasted, unsalted; one gab of roasted, salted; and one bag of roasted, 50% less salt, and combine them. Wonderful doesn’t offer 50% less in the stores where I shop. But for recipe purposes, I would prefer shelled. I will consider the freshness component, however when I am cooking or baking, the last thing I want to do is spend time shelling nuts. Also, the nuts are oxidizing as I shell them for the recipe requirements. It may cost less to buy them shelled but there is one problem. It actually cost more shelled. Let me explain. I bought a bag of shelled and a bag of nut in shell. I ended eating the whole bag of shelled before I knew it. Gone. You’ll end up eating them like popcorn. Eating the bag with the shells on, I had to eat them one at a time preventing me from eating the whole bag making the bag of nuts last longer and enjoy every luscious nut. They may cost a little bit more but you’ll enjoy them longer and save money because you won’t eat them all at once. Can you just pick up one at a time and eat them one at a time. If you can do that, your stronger than I am. If you’re ever presented with a similar situation with other food products, you can check the serving sizes in the Nutrition Facts. A little math will give you a quick apples to apples comparison. I like Costco’s Kirkland brand pistachios better than Wonderful and other brands I’ve tried. I have found their nuts consistently fresh and – I don’t know why – generally larger than the other brands. He did not shell 3 pounds of pistachios without eating any. He must of had a backup supply. But thanks for doing this much needed comparison crazy man. This is the kind of thing that our taxes should be spent on. Before I found your article, I had already done the experiment (with Kirkland). The value I got was 45% of edible nut rather than your 48 %, which is close enough. There could be some difference due to humidity, salinity, oil content, etc. The pricing also takes into account the difference in weight and volume (useless), which has to be handled and transported. Another factor to consider would be the size of the nuts themselves. Some are tight and some are loose in the same shell size and weight. May be some ”bean counter” would have the patience to count how many beans per pound of different brands. I agree with BL. Shelled Ps are just better tasting, period. The skins makes the taste MUCH better than the bare ones. And anyone saying the time it takes to take the shells off are what make it taste better are out of their minds. IT’S THE SKINS! All I can say is, I am never buying pre-shelled pistachios to snack on again (would likely be fine for recipes though). Just purchased the Wonderful brand Roasted & Salted pre-shelled pistachios (12 oz) and they are not very good (sell by date is far in the future, so they are not an old package). 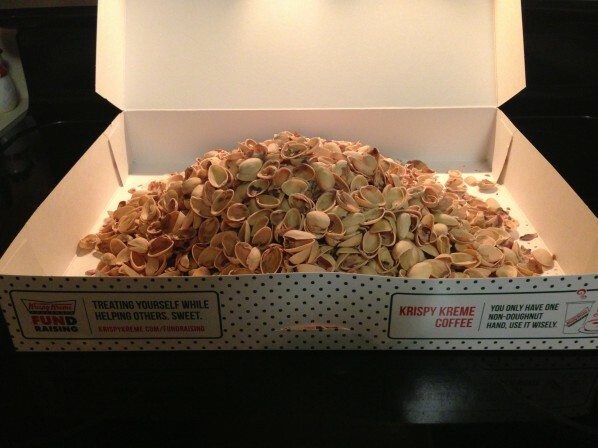 The random bag of pistachios w/ shells I purcased from Giant tasted noticeably much better. Yes, it’s a bit of work (and messier) if you need to shell them yourself (esp if you like to snack while sitting in front of your computer at work), but there is really no comparison in taste. As with many things in life, those you have to work for generally are a bit better! In the shell is better! It takes longer to eat, licking salty shell feels good and you burn a bit of energy trying to reach the delicious shells. Just weighed out 100 grams of shelled nuts (Kirkland), cracked and ate the good stuff (53 grams) and wound up with 47 grams of shells for the chicken garden. Will update if the yield percentage differs significantly from this first test batch. So the math in all examples checks out, but what is the tipping point on pricing in the store. Product prices go up and down, so what is the costs difference to look for between shelled and unshelled to know if the shelled ones are still cheaper that day ? If costs is the only factor and not taste or time spent opening them.